Cellulitis is a common but potentially serious bacterial skin infection of the deeper layers of the skin and the subcutaneous tissues, where the skin has broken open, such as a cut, scrape, insect bite, ulcer, burn, surgical wound, or where the skin is breaking down from conditions like eczema, psoriasis or a fungal infection (1). Normally the bacteria that are present on the skin do not cause harm; unless they are able to penetrate deep into the skin. Nicks in the skin allow these bacteria to get beneath the skin surface and cause infection. A cellulitis infection can be caused by many types of bacteria, though the major culprits are Staphylococcus aureus (staph) and Streptococcus pyogenes (strep) bacteria. At present, cellulitis is more frequently caused by a notorious drug-resistant bacteria called methicillin-resistant staphylococcal aureus or popularly known as MRSA (2). Infections caused by this bacteria lead to skin blisters or more severe deep-rooted infections. Insect bites like certain spider bites, animal bites can also transmit bacteria that cause infection. Several factors can place you at risk of contracting cellulitis. Some of them include a weakened immune system, chicken pox or shingles, diabetes, obesity, blood circulation problems, lymphedema, drug misuse, and a history of cellulitis increases the risk of developing this problem. Although the infection mostly occurs on the lower legs, it may occur anywhere on your body. The affected area usually looks red and swollen and feels hot, tender, and painful. Cellulitis is not contagious as the outer skin layer remains intact. Complications can arise if the cellulitis-causing bacteria enter the lymph nodes and bloodstream. In rare cases, it can also infect the deeper layer of tissue called the fascial lining (3). Certain types of flesh-eating strep are an example of this type of infection and this needs immediate medical attention. So, do consult your doctor for proper diagnosis and treatment, especially if the infection is severe and does not get better within a few days, the rash is rapidly changing, or if you have fever accompanying the infection, or if you have any other medical problems. Here are the top 10 home remedies for cellulitis. Along with the natural treatments, it is essential to take the entire course of antibiotics prescribed by your healthcare provider. Tea tree oil or Melaleuca oil is well reputed for its potent antibacterial, antifungal, antiviral, and anti-inflammatory properties. This has led to its widespread use in cosmetics and for the treatment of skin infections. Scientific evidence shows that it is effective in treating acne with fewer side effects (4). Clinical trials have demonstrated that it is effective against oral candidiasis and methicillin-resistant Staphylococcus aureus (MRSA), the bacteria generally responsible for cellulitis infection (5). 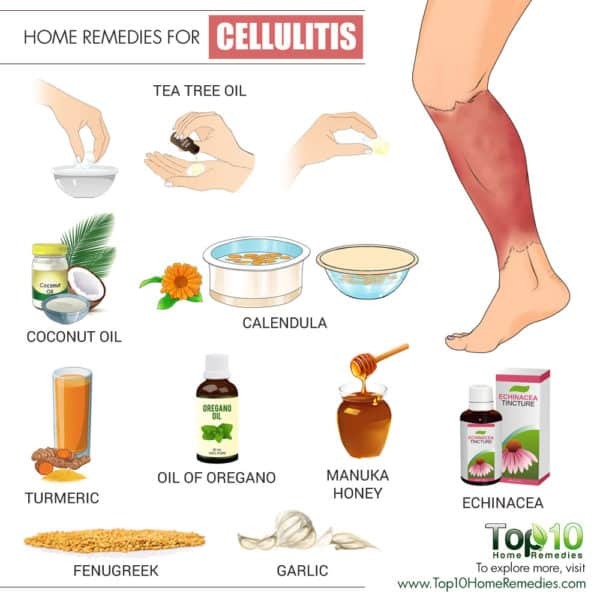 Tea tree oil is highly beneficial for treating cellulitis. Moisten a cotton swab with water and put one or two drops of tea tree essential oil on it. Dab it on the site of the infection. Leave it on for a few hours before washing it off. Alternatively, you can mix a couple of drops of tea tree oil in one teaspoon of aloe vera gel or raw honey. Apply it on your skin and leave it on for a few hours before rinsing it off. Use either of these remedies once or twice daily until you are satisfied with the results. Author’s note: Users report that it is safe, effective and gives quick results. It can be used topically along with antibiotic treatment. Turmeric is a powerful natural antibiotic and antiseptic to prevent and treat cellulitis. Its active ingredient curcumin also provides anti-inflammatory benefits. Turmeric is used in several dermatological applications like psoriasis, acne, wound healing, and keloids as it blocks or promotes molecular pathways that are involved in these diseases (7). Mix one teaspoon of turmeric powder in a glass of milk and boil it. You can also add a little honey. Drink this turmeric milk once or twice daily until the infection clears. Alternatively, you can take 400 to 600 mg of standardized curcumin powder, three times daily for several weeks to a couple of months. You can also make a turmeric poultice by mixing one tablespoon of raw honey, one teaspoon of turmeric powder and three drops of tea tree oil in one or two teaspoons of bentonite clay, enough to make a paste. Apply it on the affected area and leave it on for 15 to 20 minutes before rinsing it off. Use it daily for a few days. Note: Turmeric should not be consumed for medicinal purposes if you have gallbladder problems as the problem can aggravate. If you are taking diabetic medications or have blood clotting disorders. Calendula is soothing for the tender and inflamed skin and fights infection. Calendula flower water decoction is used traditionally to treat various skin conditions caused by bacteria. 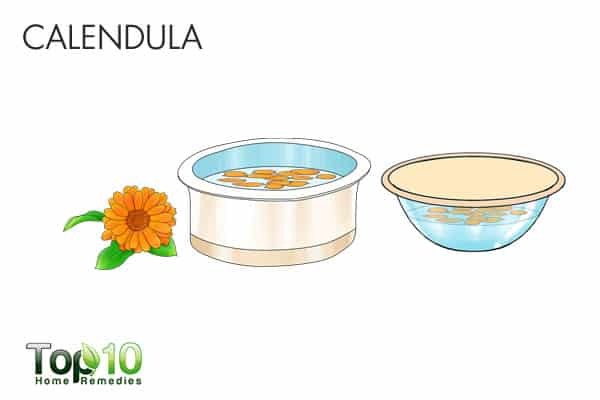 A study published in 2008 demonstrated that water-soluble extracts of calendula had the highest inhibitory activity against a broad range of bacteria especially S. aureus (8). Plus, it increases blood flow to the affected area and also stimulates the production of collagen, thereby promoting wound healing. Steep two teaspoons of calendula flowers in a cup of hot water for about 10 minutes. Dip a clean piece of cloth in this infusion and apply it on the affected area. Leave it on for 15 to 20 minutes. Repeat three or four times daily for a few weeks. You can also apply calendula cream a few times a day until you see improvement. Being nature’s antibiotic, oil of oregano is another effective home remedy for cellulitis. It has very potent antibacterial, antioxidant and anti-inflammatory properties. Terpinene is a major active constituent of oregano oil. It contains phenolic compounds like carvacrol and thymol with antiviral, antibacterial, antifungal, and anti-inflammatory qualities. A study published in the Journal of Drugs in Dermatology found that the application of a 3 percent oregano extract ointment reduced bacterial contamination and subsequent infection in patients with post-surgical wounds. There are many studies that demonstrate the broad range antimicrobial activity of oregano oil against several bacteria including Staphylococcus aureus and also the deadly MRSA (9). 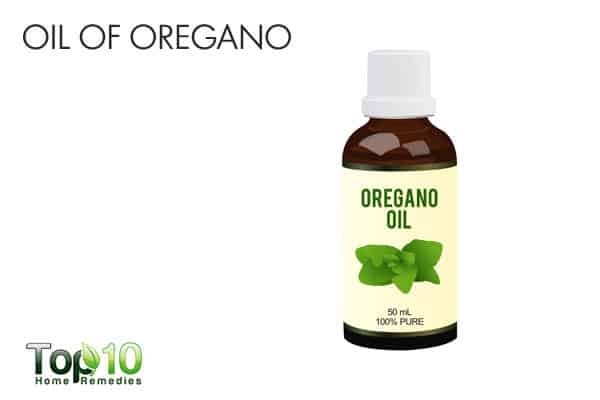 Dilute 10 to 12 drops of oil of oregano in two tablespoons of olive oil/ coconut oil/ jojoba oil or any other carrier oil. Apply it on the affected area and leave it on for a few hours. Wash it off and reapply several times a day. You can also take this oil internally. Mix three drops of oil of oregano in one tablespoon of coconut oil. You can also add one teaspoon of honey. Consume this mixture five times daily for three or four days. Then, take it three times daily for seven to 10 days. Another option is to mix five drops of oil of oregano in a glass of water or fruit juice. Drink it three to five times daily for a few days and then reduce the dosage to three drops as a maintenance dose for about 10 days. Note: Do not use full-strength oil of oregano on broken skin. The concentration of oregano oil for topical use should not be more than 1% as it can irritate the mucous membranes. Pregnant women should avoid taking oil of oregano because it can stimulate the uterus and induce labor. Manuka honey is a native product of New Zealand. It is rich in phytochemicals like methylglyoxal (MG) that are effective in controlling staph infections. The active compounds in this honey have also been found to inhibit antibiotic-resistant MRSA (methicillin-resistant Staphylococcus aureus). Manuka honey also helps speed up wound healing. Although the exact mechanism for its validated antimicrobial activity has not been unraveled, many researchers think that the physical properties of honey may be responsible for this. It is also a very strong anti-inflammatory agent (10). 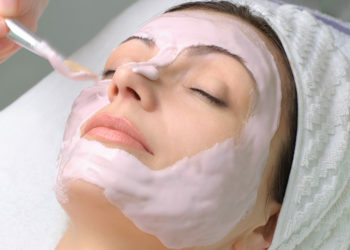 Spread manuka honey on the affected area. Do this a few times a day until you are satisfied with the results. Note: You can purchase Manuka honey from your locl drug store or even online. To be potent, manuka honey is rated by a factor called the UMF (Unique manuka factor). This UMF rating is supposed to correspond to its methylglyoxal (MG) content. 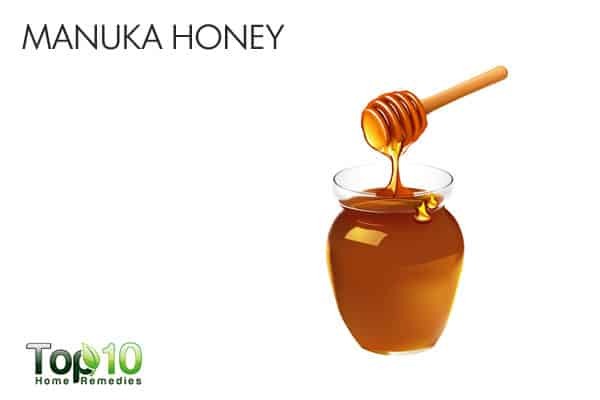 Buy manuka honey with a minimum UMF of 10. Always check for active manuka honey or UMF manuka honey. If manuka honey is not available, go for raw organic honey. Being packed with flavonoids, fenugreek seeds can be used externally on the skin to reduce skin inflammation and infections. 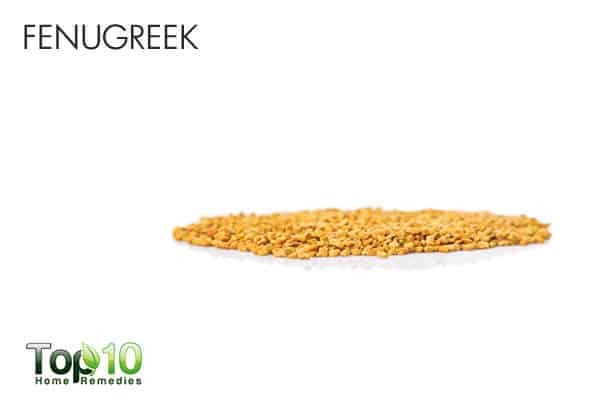 Fenugreek seeds have a high content of saponins and protein. In addition to this, fenugreek is rich in polyphenols that are responsible for its therapeutic properties. Fenugreek has been used in folk medicine to treat cellulitis. Its antibacterial activity has also been confirmed by several studies (11). Soak two tablespoons of fenugreek seeds in warm water for a few hours. Grind them along with a little water to make a paste. Leave it on for a few hours before rinsing it off. Repeat once daily until the symptoms associated with cellulitis improve. Garlic is another natural antibiotic for fighting infections, thanks to its active compound allicin that has strong antimicrobial properties. Plus, it helps reduce inflammation due to its anti-inflammatory activity. A study published in 2015 confirmed the antibacterial properties of raw garlic against both gram positive and gram negative bacteria including Staphylococcus aureus, which is mainly responsible for cellulitis (12). Regular garlic intake also helps boost the body’s immunity. Eat three or four crushed raw garlic cloves daily for several weeks. If you are bothered by its strong taste and smell, then drink a glass of milk afterward. You can also fry two crushed garlic cloves in coconut oil, cool and strain the oil, and apply it on the affected area. Leave it on for several hours before washing it off. Use it once or twice daily. 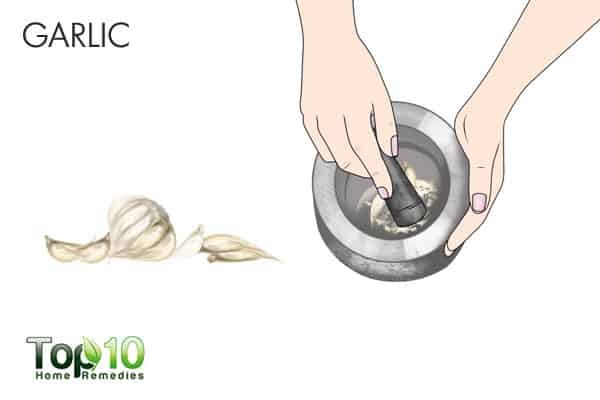 Simply applying crushed garlic cloves on the infected site for a few minutes may also help, but it is not suitable for those with sensitive skin. Echinacea can also be used to treat cellulitis because it strengthens the immune system. 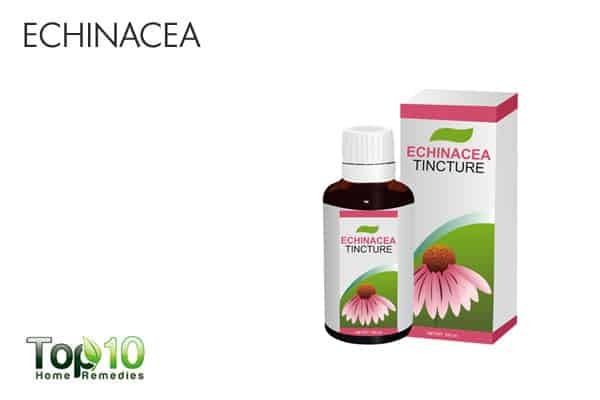 Echinacea extracts are rich in alkamides, polysaccharides, and caffeic acid compounds that are responsible for many of the therapeutic properties of this medicinal plant. It also contains flavonoids with antioxidant, antimicrobial, anti-inflammatory and anti-allergic properties (13). It also aids in boosting the body’s immune system. You can take this herb internally or apply topically on the skin in the form of gel or cream to treat skin irritation and inflammation. Consult your doctor before taking this herb for proper dosage. Note: Echinacea is not suitable for those suffering from autoimmune disorders such as lupus, multiple sclerosis, or rheumatoid arthritis, leukemia or tuberculosis. Being porous, activated charcoal helps draw out toxins and chemical impurities that contribute to skin inflammation and infections. 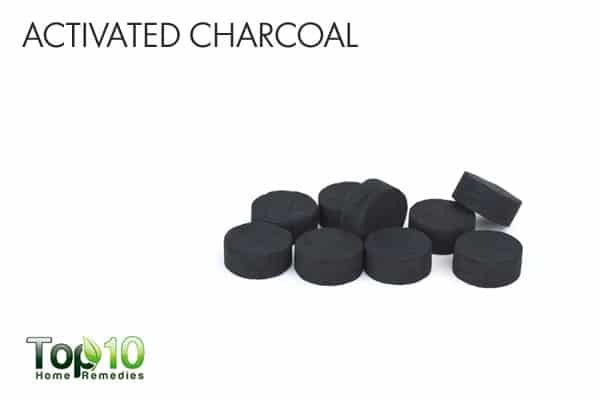 Activated charcoal has the power to adsorb a variety of drugs and toxic agents that are in solution form and in direct contact with its surface (14). Mix one tablespoon each of activated charcoal powder and ground flaxseed along with sufficient water to make a paste. Spread it on a piece of paper towel and cover it with another paper towel. Place this poultice on the affected area, cover with plastic wrap and secure it with tape. You can take the following precautions when you have a wound on your skin in order to prevent the occurrence of cellulitis and other infections. Clean and gently wash your wound daily with a good antiseptic soap and water. Apply an antiseptic cream or ointment on your wound. Cover large or deep wounds with a clean bandage, which should be changed regularly. Monitor your wound for any signs of infection like redness, pain, and drainage. Go for a medical evaluation if required. People with diabetes should be extra cautious in guarding themselves against skin injury. Cellulitis – Harvard Health. https://www.health.harvard.edu/diseases-and-conditions/cellulitis-. Cellulitis: Practice Essentials, Background, Pathophysiology. https://emedicine.medscape.com/article/214222-overview. Cellulitis – Symptoms and causes – Mayo Clinic. https://www.mayoclinic.org/diseases-conditions/cellulitis/symptoms-causes/syc-20370762. Bassett IB, Pannowitz DL, Barnetson RS. A comparative study of tea-tree oil versus benzoylperoxide in the treatment of acne. Med J Aust. 1990;153(8):455-458. http://www.ncbi.nlm.nih.gov/pubmed/2145499. Dettwiller P, Spelman T, Carson CF, et al. Therapeutic Potential of Tea Tree Oil for Scabies. Am J Trop Med Hyg. 2016;94(2):258-266. doi:10.4269/ajtmh.14-0515. DebMandal M, Mandal S. Coconut (Cocos nucifera L.: Arecaceae): In health promotion and disease prevention. Asian Pac J Trop Med. 2011;4(3):241-247. doi:10.1016/S1995-7645(11)60078-3. Gonzalez T, Sethi A. Curcumin (turmeric) and its evolving role in skin health. In: Wageningen Academic Publishers; 2012:332-348. doi:10.3920/978-90-8686-729-5_20. Healthy Synergies Publications. T, Roopashree TS, Dang R, Rani RHS, Narendra C. International Journal of Applied Research in Natural Products. Vol 1. Healthy Synergies Publications; 2008. http://www.ijarnp.org/index.php/ijarnp/article/view/64. Ragi J, Pappert A, Rao B, Havkin-Frenkel D, Milgraum S. Oregano Extract Ointment for Wound Healing : A Randomized , Double – Blind , Petrolatum – Controlled Study Evaluating Efficacy. J Drugs Dermatol. 2011;10(10):1168-1172. https://www.researchgate.net/profile/Daphna_Havkin_Frenkel/publication/51690356_Oregano_Extract_Ointment_for_Wound_Healing_A_Randomized_Double-Blind_Petrolatum-Controlled_Study_Evaluating_Efficacy/links/59a06c770f7e9b0fb8993733/Oregano-Extract-Ointment-fo. Gethin G. Bacteriologicalchangesinsloughy venouslegulcerstreatedwith manukahoneyorhydrogel:anRCT. doi:10.12968/jowc.2008.17.6.29583. Wani SA, Kumar P. Fenugreek: A review on its nutraceutical properties and utilization in various food products. J Saudi Soc Agric Sci. January 2016. doi:10.1016/J.JSSAS.2016.01.007. D PK, Kms N. Antimicrobial Activity of Commonly Used Raw and Commercially Available Kitchen Spices against Pathogenic Micro – Organisms. IOSR J Biotechnol Biochem. 1(4):1-3. https://www.researchgate.net/profile/Pangsatabam_Kamala_Devi/publication/299337100_Antimicrobial_Activity_of_Commonly_Used_Raw_and_Commercially_Available_Kitchen_Spices_against_Pathogenic_Micro-Organisms/links/56f1080508ae70bdd6c97cb1/Antimicrobial-Activity-of-Commonly-Used-Raw-and-Commercially-Available-Kitchen-Spices-against-Pathogenic-Micro-Organisms.pdf. Manayi A, Vazirian M, Saeidnia S. Echinacea purpurea: Pharmacology, phytochemistry and analysis methods. Pharmacogn Rev. 2015;9(17):63-72. doi:10.4103/0973-7847.156353. Neuvonen PJ. Clinical Pharmacokinetics of Oral Activated Charcoal in Acute Intoxications. Clin Pharmacokinet. 1982;7(6):465-489. doi:10.2165/00003088-198207060-00001. Wow, I wasn’t very optimistic, but I figured what the heck I’ll try the turmeric recipe to see if it cleared up a lower leg infection I developed in my right leg and within a week of taking it the infection was almost cleared up n well on the way to healing. I wanted to try and avoid taking the antibiotic keflex 500 mg due to the fact that antibiotics are very hard on my stomach and kill the good bacteria in ur intestines. I used both the ingestible recipe and the topical solution and had very good results using them together. Thank you so much for this valuable info. I wish I had seen this article beforehand. I am always willing to try a natural remedy before taking any pharmaceuticals. Unfortunately I waited five or six days before realizing this was probably more than just a few inflamed bug-bites. My infection was on my knee creeping towards the lymph-nodes in my groin. I did a few clay-masks mixed with a few essential oils but the next day I began to get bumps on my stomach. Since it can turn into a rather serious condition – and the doctor scared the crap out of me- I took 750mg of my prescribed anti-biotic. This did help but it took about 8 days to look well again out of my 10 day regiment. Hopefully this won’t happen again but I’ll definitely try plenty of these remedies before going for an aggressive treatment again. buy more ingredients from your top 10 tomorrow. Thank you for putting these 10 on the internet!! I am glad you posted that you tried the Coconut Oil and that you had good results. I am going try this today when I get home from work since I already has some on hand. Thank you again. I am attempting the coconut oil from today. Thanks for the tip. For the last three weeks my psoriasis came back big time under my feet and going up my legs and palms of my hands. It developed to cellulitis. Seen a doctor and prescribed me anti inflammatory, antibiotics, cortisone cream. This is my second day on meds and swelling going down. However, I’m just supposed to use the cortisone cream morning and night. It feels so dry and painful that I disobeyed the doctor by a soaking my feet in Epsom salt in cool water to relieve the swelling and tightness. Then I dried my feet very well and applied coconut oil all over, then the cortisone cream on top. Now, I can walk better on my feet as per just cortisone cream, cellulitis is flaky, red, painful, and very dry causing bleeding cracks. Did it twice today and it feels better. Coconut oil is my beauty moisturizer. I use it everyday . Best eye makeup remover and night cream. 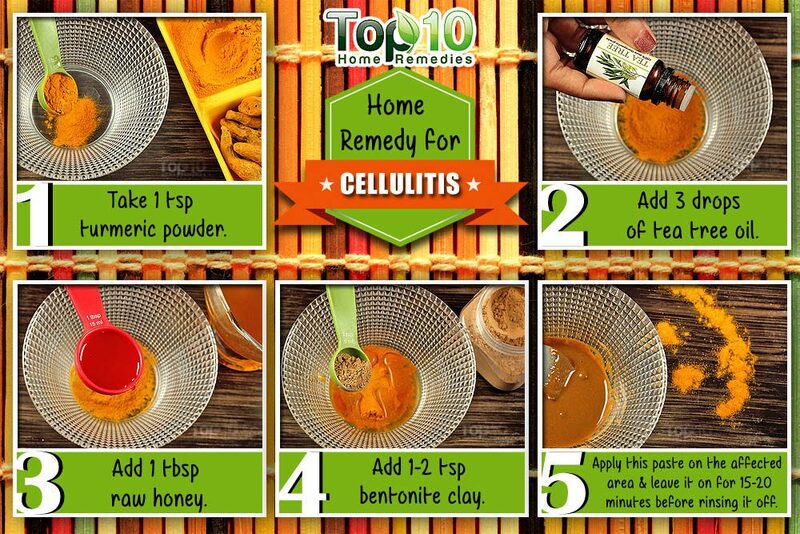 Hope this helps you with your cellulitis. That’s a scary experience and will take time to heal.. Thank you to everyone for sharing your experience with coconut oil. I hope I didn’t write too long.. I am wondering how the coconut oil worked, as I’m trying NOT to take the Rx I have now…thanks! SPRAY SEVERAL TIMES A DAY WITH NORMAL SHOWER FUNGUS AND MOLD REMOVER. WORKS LIKE A CHARM. ALSO CLEANS UP ANY FUNGUS ON TOE NAILS. I have recurring Cellulitis on both legs and the antibiotics dont seem to be helping. It hurts so bad. I am going to try the termeric milk and put coconut oil on them. Last Thursday I woke up with swelling and redness in my leg. The pain was so bad I couldn’t walk. My husband took me to an urgent care clinic and the doctor advised that I had cellulitis. He ordered an antibiotic for me. I am so thankful I found this article. I decided to try natural treatments first so I didn’t take the antibiotic. I became very aggressive with my treatment since I can’t stand pain and I wanted to be able to walk. Today is Tuesday and I am completely pain and symptom free! This is what I did. 1. 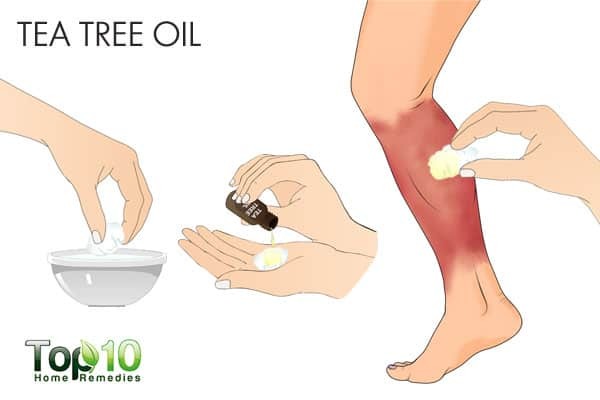 Rubbed leg with tea tree oil on wet cotton ball about 3 times a day. 2. 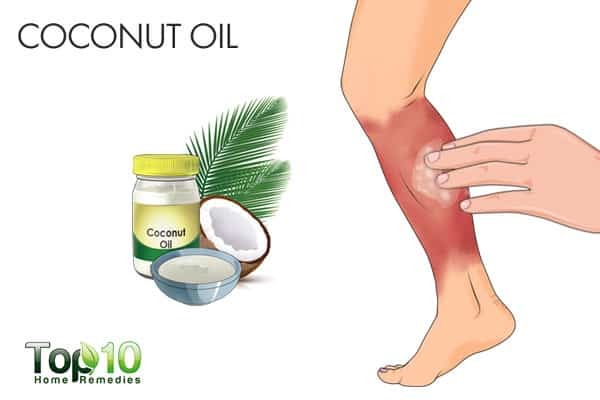 Rubbed leg with Coconut oil and oil of oregano about 2 times daily. 3. 2 Fresh garlic cloves daily. 4. 1 teaspoon colloidal Silver about 5 times a day. 5. 10 drops liquid kyolic, 10 drops of grapefruit seed extract and 4 drops of oil of oregano in pure grape juice twice a day. 6. Cut out sugar and all junk food from my diet. 7. I did the turmeric one day also. The only comment I would have is to say, moistening a cotton ball with water (H20) is really of no point when blending or hoping to carry an essential oil. Instead, may I suggest a better, more chemistry accurate blend? Use extra virgin olive oil (or) low temp melt coconut oil or nearly any other oil that is clean and fresh, never touched by human hands or used in cooking yet. This will then blend with your other essential oil and act as a support/carrier and blend, spread to the desired area. Using water is not helpful, oil and water never mix unless you have a liquid emulsifier like polysorbate, which I would not recommend in a case like this. It’s inappropriate to use it in this way. I had cellulite on my ankle for about four months . Everything I tried didn’t work. I even saw a skin doctor he gave me gel to put but nothing happens. So now I’m going to try the coconut oil. Please pray that it works. Thank you and God Bless. I used plantain leaves on my cellulitis swollen leg and ate raw vegetables. It cleared quickly.